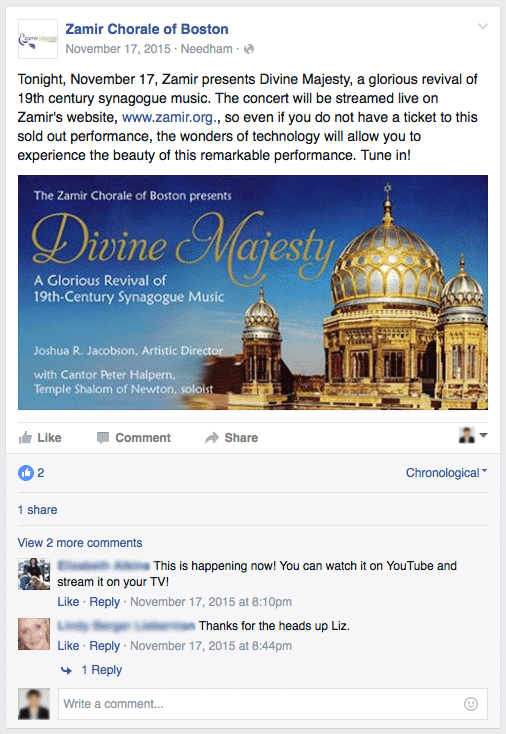 A few months ago I worked on a fun job with local partner StormPort Productions directing a live performance by the renowned Jewish choir Zamir Chorale of Boston. If you follow my work you’ll know that a lot of it focusses on the sailing industry, so anytime I get a chance to do something new and different, I’m all over it. For this production the client wanted to stream their sold-out performance “Divine Majesty” for fans to watch online. We only had a few weeks to prepare for the job, but by following these tips we pulled off a successful broadcast and made our client happy. We only had two weeks to prepare for the Zamir show, which is incredibly tight! Ideally, planning should begin over a month in advance–and even longer if it’s your first time attempting this–to leave time for planning, testing, and troubleshooting. We got away with a short window because we already had the hardware needed and crew personnel available, and the client was great about giving us access and resources. 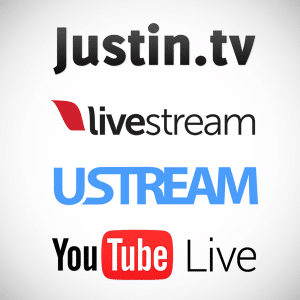 In today’s crowded marketplace, there are dozens of options for creating a live stream. 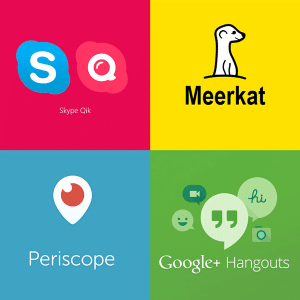 You may have heard of Periscope or Meerkat, smartphone apps which let you stream for free with the touch of a button. Even before their emergence, Google Hangouts gave you a way to get in front of a live audience using only your phone, tablet, or computer. And way back, even before phones had broadband-equivalent connection speeds, Qik (since bought by Skype and shutting down March 24) was offering a similar service. Finally, there’s the fully customizable option: renting or purchasing server space and dedicated high-speed connection, designing a custom video player, and deploying the stream on your own website or other online delivery service. This is advanced stuff and is generally reserved for very high end brands and events who demand total control over their stream and don’t mind shelling out for a team of engineers to set it up from scratch. Each option has its pros and cons. While many services’ features overlap, each has its own unique hallmark, so it’s important to do some research before settling on an option. For the Zamir performance, we chose Youtube. Because the client already planned to host the recording on its Youtbe channel, this streamlined the process and provided a recorded version immediately after the stream stopped, at the same URL. As I pointed out in Tip #2, any yahoo with a smartphone can now call themselves a live streamer, but does that mean event organizers, local organizations, and multinational corporations should hire just any yahoo to produce their stream on an iPhone 4S with a selfie stick? Of course not. 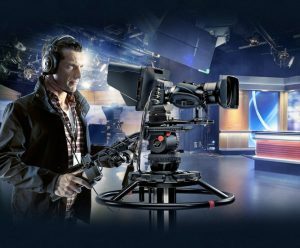 Today’s professionals can mix multiple HD cameras, remote cams, prerecorded material, and graphics using relatively low-cost tabletop equipment. Computer-based solutions include beefy workstations equipped with multiple video cards or data inputs running switching software like Wirecast or Livestream Studio. 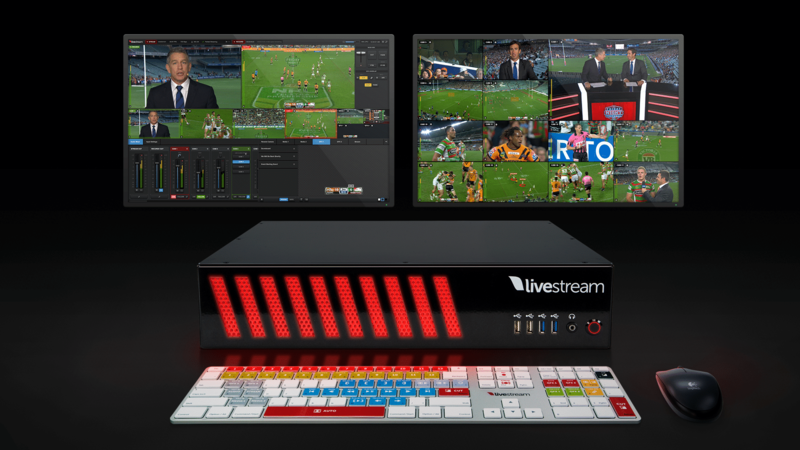 Livestream even offers custom built computers preconfigured to take multiple input sources, mix them on their software, add graphics, stream, and record. Hardware based solutions include video switchers like Newtek Tricaster and Blackmagic Design ATEM Switchers, and video relay products from Teradek, paired with a video encoder or a computer running encoding software. For a totally mobile solution, Livestream Broadcaster, Teradek VidiU, and LiveU offer the ability to stream directly out of your camera to the web. Mixing the show on a Blackmagic Design ATEM TV Studio switcher. Maybe we didn’t need all of these monitors, but it never hurts to be over-equipped. 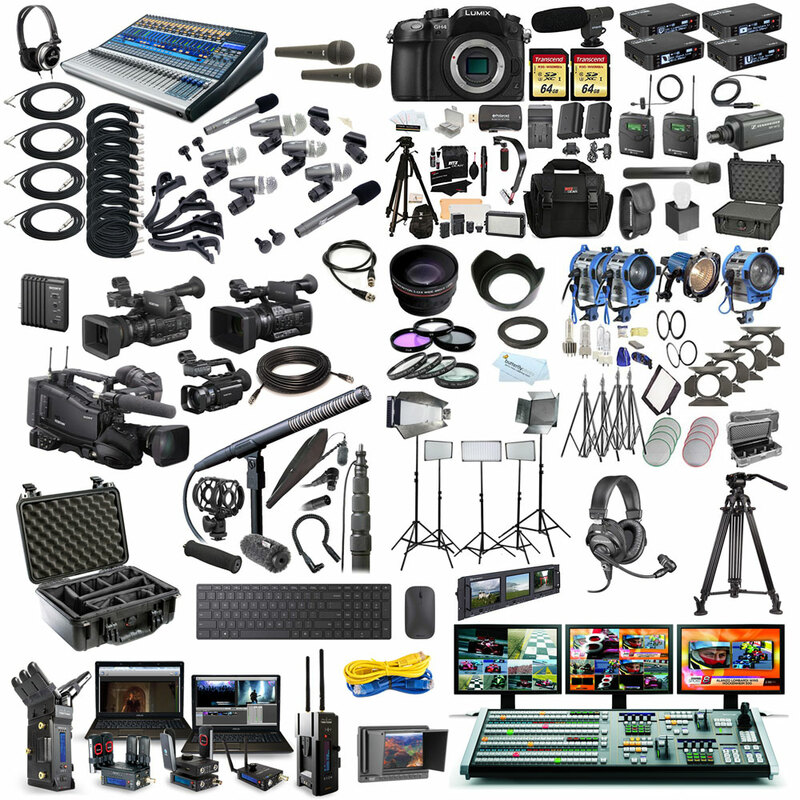 Just as it’s possible to stream from a $100 phone or a $100,000 mobile studio, there are also plenty of options for cameras, microphones, mixers, and local transmission equipment. On my shoot we wanted to provide very high quality picture and sound for a low cost to the client. Our solution was to rent three identical Canon XF305 cameras with operators on two of them. We ran the video signal through SDI cable and into the switcher and the audio came from a shotgun mic on a stand, placed at the back of the house. Depending on the needs of your production, consumer camcorders with HDMI output may be enough. In the past I have even used GoPro’s to get a wide establishing shot (though I was disappointed to find out that the newest model is not compatible with my switcher.) On the other end of the spectrum, advanced studio cameras can give you not only great picture, but also include features like a tally light and display to tell the operator when the camera is on the air. These cameras’s settings can be adjusted remotely from the control room to perfectly match color and brightness across the whole show. For cameras that are too far, inconveniently located, or constantly moving, Terdek’s transmission hardware can send the signal of a remote camera several hundred feet through the air, or several thousand miles over the internet, back to the control room’s switcher. 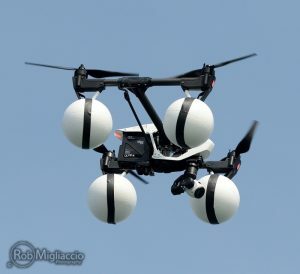 Another exciting advancement that I hope to try this summer is live streaming from a drone. My DJI Inspire 1 includes HD video transmission to the remote control, which can then be fed into a switcher via HDMI cable. Alternatively, the drone’s companion app can stream directly to Youtube! As simple and straightforward as some of this new technology is to use, live streaming continues to be a complex and sometimes fickle beast. The more wires, connectors, conversions, and transmissions involved in your system, the more likely something is to fail. And unlike on a movie shoot where the actors can reset and go again after a battery change, when something fails live, your whole production can come to a screeching halt. When preparing for a live shoot, follow this guide to form your plan far in advance. Gather all your equipment and set everything up in a controlled environment. Do a dry run. Do several dry runs. Watch your stream and make sure everything looks and sounds as you expect. If something is amiss, identify the break in the chain and get it straightened out before ever bringing your setup out into the wild. Then, when go on site, set everything up again and test some more, well in advance of the real thing! When you buy a piece of software, there’s usually a little section of fine print titled “Minimum System Requirements” to let you know how fast your device needs to be and the required version of software. The same is true for live streaming. 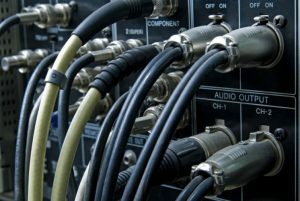 For streaming to work at a given level, you must provide enough electricity to power all your equipment, enough bandwidth to continuously upload your video at a given bitrate (video quality), and enough computer processing power to handle all the rigors of switching video sources, overlaying graphics, and transcoding and uploading the final output. You can find these numbers listed in the support documentation for the various products you’ll be using. Once you have them, make sure your setup will not only meet those requirements, but beat them by a comfortable margin. This way if you end up adding some unforeseen additional drain on your resources, you know your system won’t crash while you’re on the air. Even if you’ve tested your system a dozen times and rehearsed the broadcast ’til you can do it in your sleep, there are always unforeseen obstacles that will creep up at showtime, ready to take down your show. In such cases, you must be prepared with backup plans. Bring spare cameras, cables, and anything else with the potential to stop working unexpectedly, provided you can afford to rent or own spares. While careful planning and scripting is a good idea, make sure you can be somewhat flexible too: identify workarounds for a malfunctioning piece of equipment, a missing crew member, or programming not going as expected. When budgeting for your production, make sure you leave a little extra for contingency plans. In our production we knew that the one thing that was out of our control was the internet connection. Because we were hired to use the in-house internet at the venue, we arranged ahead of time to have the local IT guy on call during the performance, and as it turned out, he needed to reboot the modem and router 30 minutes before showtime to get everything working smoothly. We also brought along a complete backup streaming system, consisting of a second video converter, laptop, and 4G LTE modem that simultaneously sent a backup broadcast to Youtube in case the primary stream failed. The most important part of producing a live stream is ensuring that there is a live stream! Often, just getting this done, following my tips listed above, can take up far more time than you might have guessed (see tip #1.) But another reason to get the big stuff squared away ahead of time is to leave extra hours for the small touches that will add up to a more polished show. I know your show/event/experience is the most amazing thing on the internet and people would be foolish not to actively seek you out, but the fact is people are forgetful and sometimes need a little nudge! 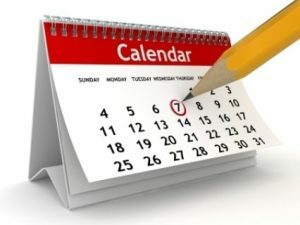 Start by setting the show date and time early on. With a few weeks left to go, post it to as many outlets as you have available to you: website, Facebook, Twitter, Youtube, Instagram, and newsletter, as well as relevant websites, blogs, and forums. 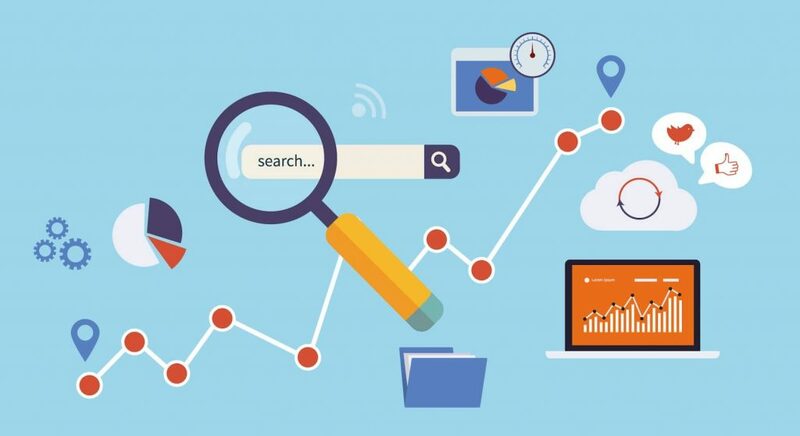 If you have the budget and desire, maybe explore online advertising from places like Google AdWords or Facebook too. Embed the player in as many places as possible. By default it will display the start time or a countdown timer. Send another reminder one or two days before the show, and set up an auto-blast to go out as your show is counting down its final minutes. If the broadcast runs longer than an hour or two, you can even continue to promote with the show in progress. Tweet out images, quotes, highlights, and behind-the-scenes action to convince those who didn’t show up at the start to get with the program. Beyond the online stuff, think about other ways to reach your unique audience. For the Zamir show, for instance, the chorale group bought ad time on the local NPR radio station on the day of the show. While this approach won’t do much for a lot of organizations, it’s where this client knew they could find their own audience. When the show is over and the cameras are all packed up, you might be feeling exhausted, relieved, jubilant, or perhaps some less positive emotions, depending on how it went. But the time immediately following your broadcast should also be used to take a few notes in preparation for your next one: What worked? What didn’t? How can you be better organized and prepared? How can you develop a system of replicability that will ensure success for years to come? How will you amp up the production value on the next one to take your show to new heights? See more behind the scenes photos from the Zamir broadcast in my portfolio. If you want to hire me for a live broadcast, or just want some help getting started on your own, contact me and I’d be happy to talk with you!